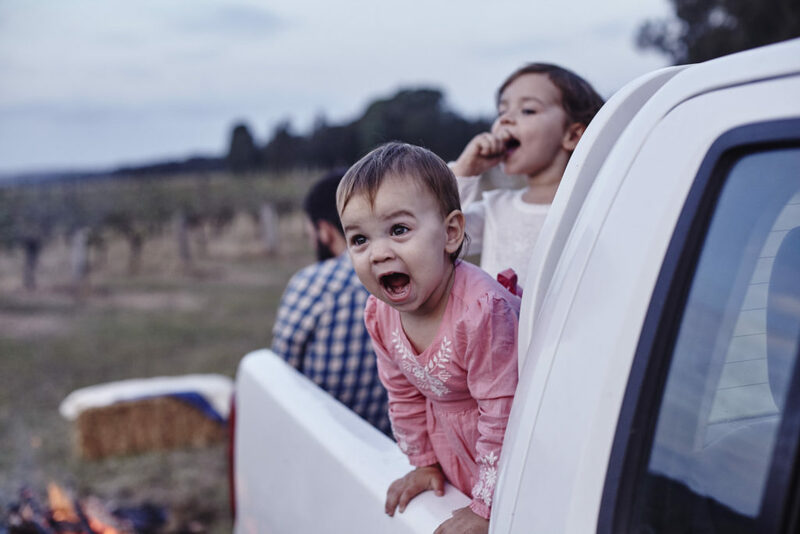 There’s lots to love about Meagan and James Becker from Becker Wines, but the fact that they make wine in both the Hunter Valley and in California is one of the coolest we think. It means drinking their range of wines is a literal journey for your tastebuds, and is a great way to experience the differing terroirs. Here’s a bit more about them below. 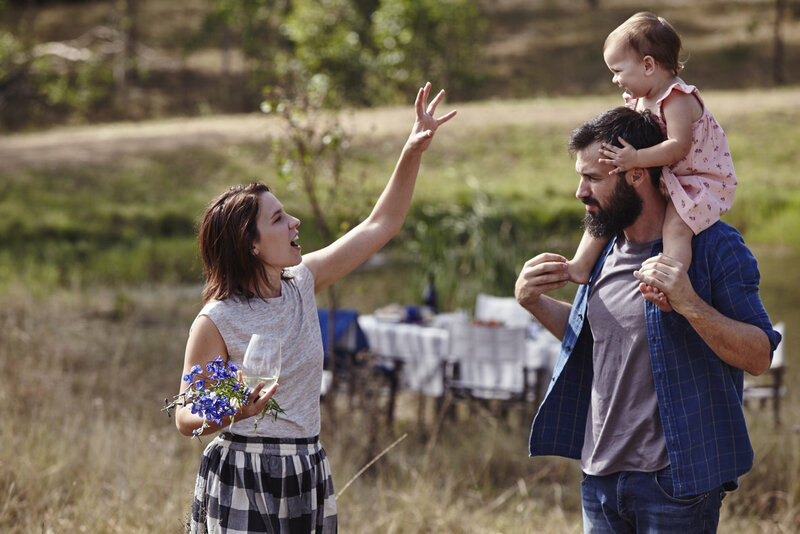 M&J Becker Wines is a husband and wife team, made up of myself (Meagan) and my partner James and we call the Hunter Valley (and California) home. In the Hunter Valley we live and work on our family vineyard with our two young daughters and Great Dane, Barkley. 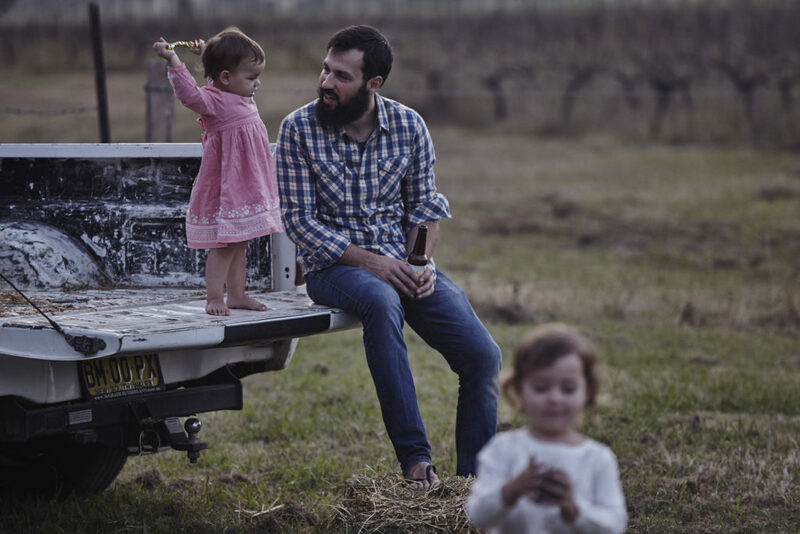 James does the day to day work in the winery and vineyard, while I look after creative and marketing plus help with vintage, bottling, harvesting and anything else that needs doing (plus I try and keep James from getting distracted by the million things he wants to do). Together our aim is to make wines that express the regions, vineyard, variety and the vintages they come from and not the cellars they are made in. James’ background was originally finance but after some life changing events, he bailed and went travelling and ended up in Northern California making wine and falling in love with pinot and chardonnay. My background is in childcare, where I continue to work. We met through friends while James was back in Australia in 2010. In 2015 we formed M&J Becker Wines after nearly 8 years waiting for some unique fruit. Now each year we make the journey back to California, where we lived, as an excuse to visit friends, play around with some outstanding fruit and get inspiration. We love spending time with friends, which led to the development of the Collaboration series. The collaboration series is an annual, ‘one off’ production wine, made with friends by hand and limited to 50 cases. There is no theme, no format, no pre-existing ideas, just some friends getting together to make some funky booze. How does it work? We team up with someone search for inspiration in a couple of good bottles of wine over a few good meals. The convergence of ideas leads to something fun, which is always an interesting and exciting project for us. 2018 we made, and are about to release the first 100% Australian grown and made Agave spirit made from 100% Agave Tequiliana made with James’ brother in law Mark. Where can we buy your wines? Next year we will be opening our own cellar door in the Hunter Valley. Follow us on Instagram and Facebook to keep up with all developments! People are able to buy our wine on our website beckerwines.com.au, we are also in the quality restaurants and bars, a list is on our website. What do you listen to during vintage? We have broad tastes in music, so it can be anything from Leon Bridges to the Beastie Boys. Northern California, with friends over dinner.